"I cannot speak highly enough of both the apartment and the company. 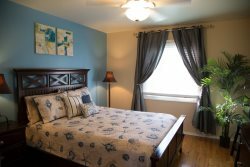 We were booked for last Christmas when a family tragedy meant that ..."
"This was a wonderful place! My wife and I stayed here on our honeymoon. I had asked if the owners could put some roses in the condo for..."
"We are avid VRBO renters and rent according to where our daughter lives. This location was perfect for east PB area as it is right acro..."
LOOKING FOR A BEACH OR BAY RENTAL CLOSE TO THE WATER BUT WITHOUT BREAKING THE BANK? Our just off the water units are the best value near the sand. Being local owner-operators we are able to stay affordable, eliminating the built in commissions of a booking agency, thus able to pass the saving on to you! - Compare the savings yourself. 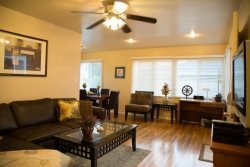 Whether you are looking for a getaway or to call the beaches of sunny San Diego your next home, San Diego Beach-N-Bay Rentals is here to serve. 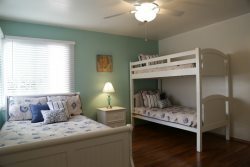 We have an exclusive network of local Beach-N-Bay homes, condos and bungalows for vacation, and short term rentals. Or if you are considering buying your own piece of the beach, let own in house Broker find your next perfect home. WE WOULD BE HONORED TO HELP YOU, SO CONTACT US TODAY! Even if we are not able to serve you, we will connect you with someone who can. We believe in treating you as we would want to be treated, yes, even if that means handing over your business to someone else. © 2019 | San Diego Beach-N-Bay Rentals - All rights reserved.